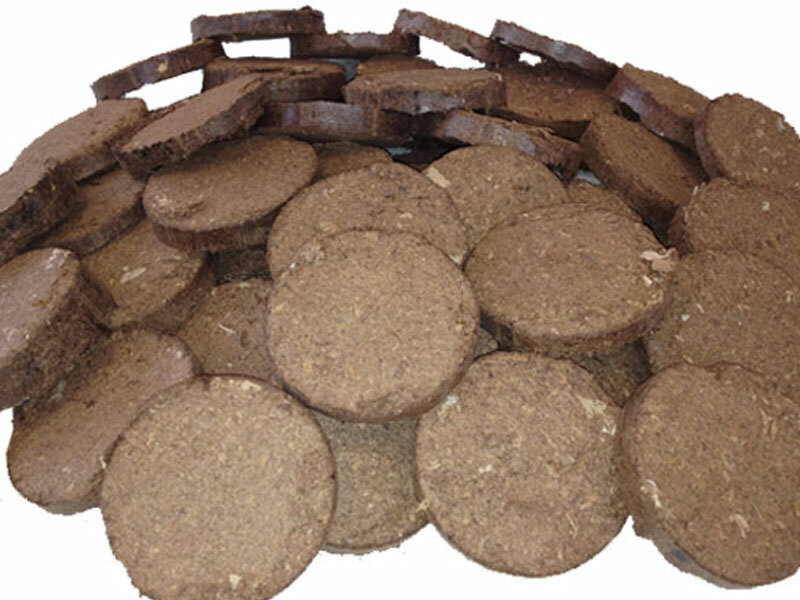 Waste with a maximum moisture content of 18 % Atro from wood, peat, straw, bio-fuels such as miscanthus, as well as paper, cardboard, containers, turf, plastics or textile fibres can be converted into briquettes with the mechanical briquetting presses MAP. The MAP high-performance machines feature a sturdy construction, which guarantees constant briquettequality in continuous operation. The pressing works by means of mechanic pressure without any additives or glue. 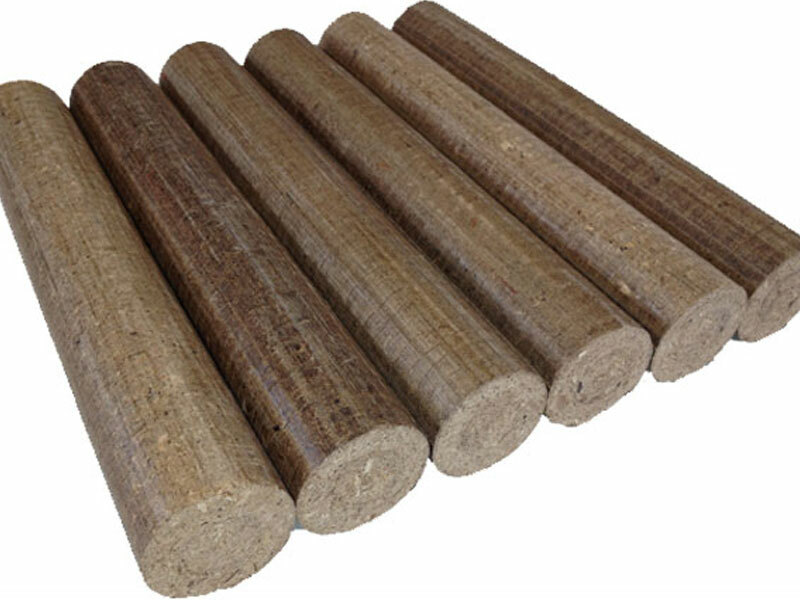 Depending on size and type of material, briquetting can reduce the volume of the basic raw material by up to 90 %. The machines can be delivered with a standard hopper. 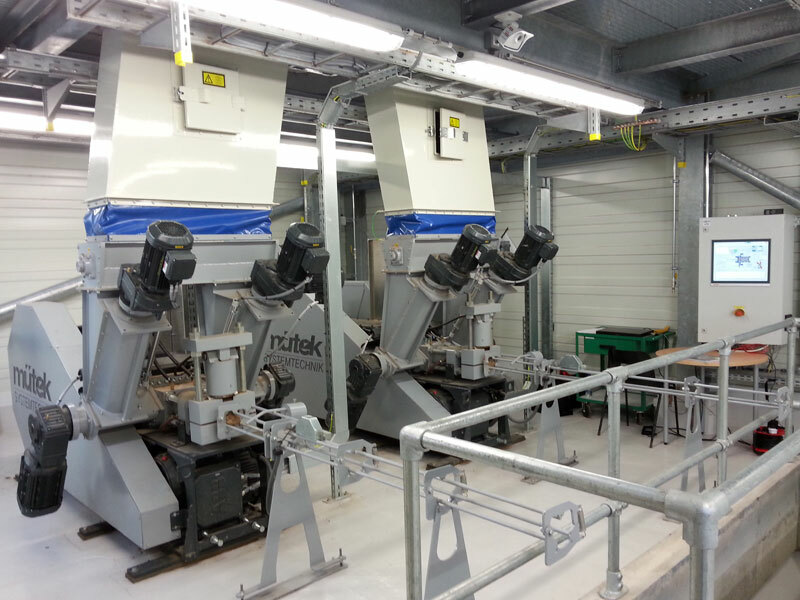 It’s also possible to place the machines under a screw conveyor or an existing silo. The machines are built for 24-hour-operation. Two machines of the Types MAP 350 and MAP 750 can be placed under one standard-silo and work as tandem system. The mechanical briquetting presses are built upon a stable metal base frame. 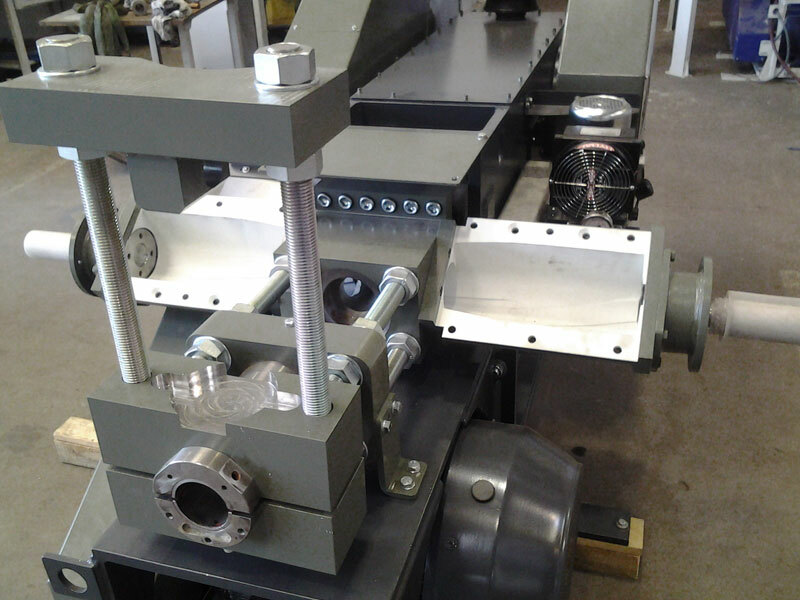 The press is driven by a powerful electric motor which turns the flywheels through a drive belt. Via a piston rod which is mounted eccentrically on a crankshaft, the flywheels drive the plunger. The material is fed from the hopper via a horizontal auger and vertical screw conveyors which are mounted in the feeding chute. The conveyors are controlled by means of the motor in order to dose the amount of material. The plunger compresses the chipping continuously in the front press unit and produces briquettes, which are repressed in the infinitely variable hydraulic crimping tool. Depending on the design of the plunger the MAP-Series can produce an endless briquette line or briquette-pills for automatic heating systems. The compressed material is controlled by means of a measuring wheel. With the programmable logic control it’s possible to cut the briquettes in the same length via flying knife.